Want to visit Inca ruins, far away from the crowds? Then head to Incallajta, write Andean Trails’ Tom, to remote and beautiful Inca ruins that are the largest in all Bolivia. More than 500 years ago and having conquered much of what are the modern day mountains of Peru and Bolivia, the Incas marched deep into the semi-tropical valleys that lie to their east. Some 130km east of Cochabamba – a lively, arty town with great food – the Incas constructed the Incallajta ruins, the largest Inca ruins in Bolivia. Now with UNESCO World Heritage status, they are not as restored as fully as Machu Picchu but they are vast and wonderful – and you are almost guaranteed to have them to yourself. There is a beautiful waterfall, some colourful rangers and the chance to walk freely across this ancient, fortified Inca administration centre, many say imitating the design of Cusco. Undoubtedly the star attraction is the Kallanka. When it was built in the late 1400s, it was thought to be the largest single-roofed structure in the western hemisphere. It is a mighty 78x 25m (255x82ft) in size, and its highest wall stands today are more 40ft/12m tall and would have been much higher when first constructed. An enormous roof for this building rested upon 24 enormous columns, columns with diameters of more than two metres. The lovely, six-sided Torreon – which is reached by passing by a beautiful waterfall – is thought to have had ceremonial or an astronomical use. There’s also a large ritual platform to see, and a total of forty buildings and a defensive wall, all of which you can move around freely. If you don’t hire a guide, you may well happen across one or more of the local stewards of these ruins, who will leave their distant office to come and collect your entry fees. In general they only speak Spanish and Quechua, and all the information boards are in Spanish only. Undeterred if you speak neither, they may accompany you throughout your walk if you wish, explaining about the various sections with varying levels of success. They are all proud of the ruins and enthusiastic about them, and their contagious willingness to share this passion means it’s worth sticking with them. Alternatively you can go on a more expensive organised tour with an English-speaking guide. It takes about 6 hours round trip from Cochabamba to the Incallajta ruins, making it a fairly long day if you give yourself 2-3 hours in the ruins. Take food, drink, sun cream – in short, everything you will need – as there are no facilities at all. 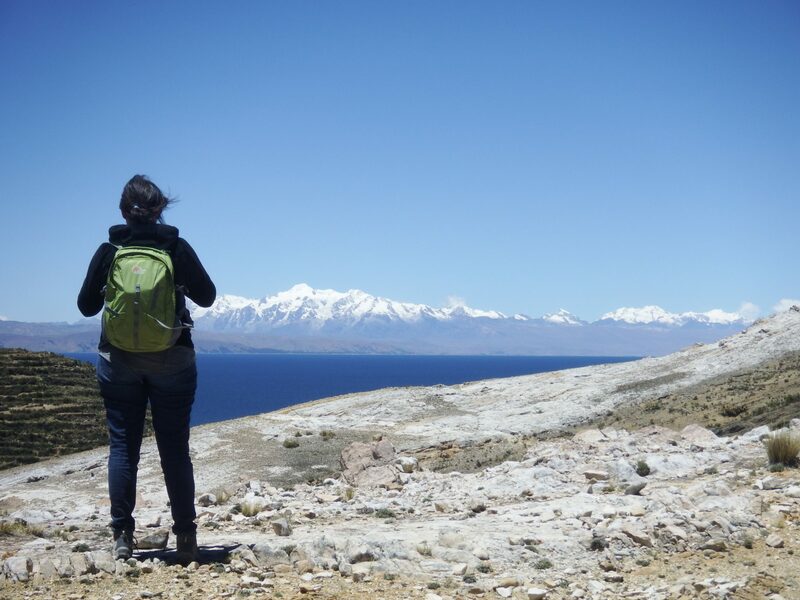 We can help with organised tours as part of a longer Bolivia package, with English-speaking guides and transport – contact us for more. Alternatively, if travelling independently, you can hire a local taxi for around USD 60 round trip (2018) from Avenida Republica with Avenida 6 de Agosto in Cochabamba. The entry fee we don’t know, as the office was closed on arrival, but a guide asked us for 20 bolivianos per person, around USD 3 each as an entrance fee.